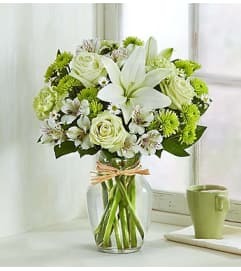 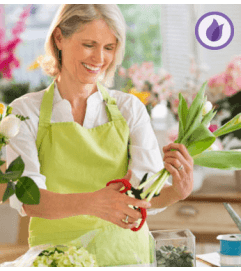 Send a lasting tribute to a life well lived. 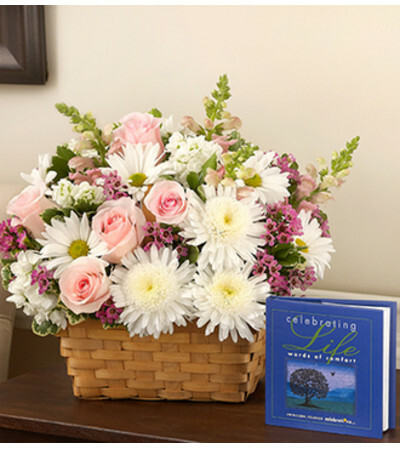 Our beautiful pink and white basket arrangement of roses, snapdragons, cremones, stock and daisy poms arrives with the touching keepsake book Celebrating Life, by Jim McCann. 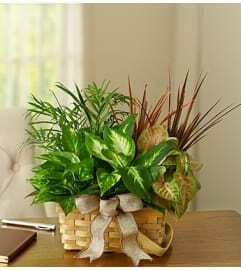 A gift of comfort and serenity.